CBFb polyclonal antibody | 6835 | BioVision, Inc.
Polyclonal Antibody to detect CBFb in human samples. 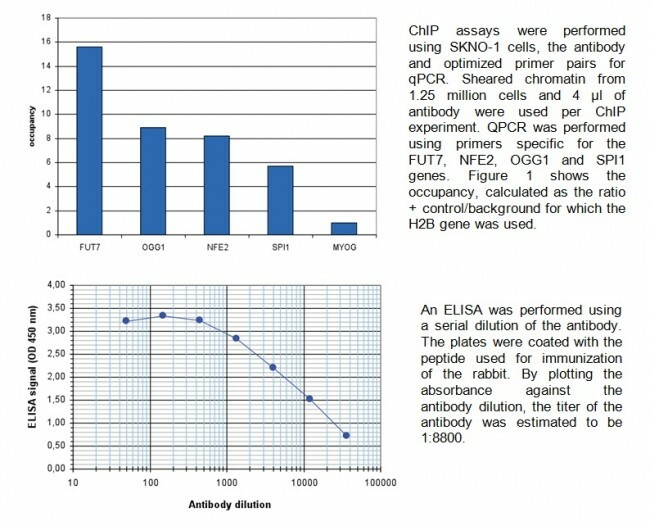 Polyclonal antibody raised in rabbit against human CBFb (core-binding factor, beta subunit) using two KLH conjugated synthetic peptides containing sequences from the central region of the protein. 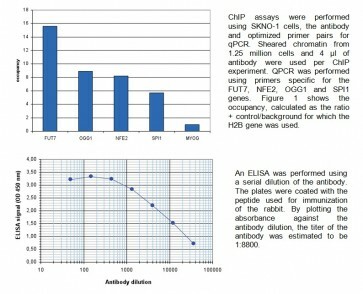 ELISA: Peptides, ChIP: SKNO-1 cells. ChIP: 4 µl/ChIP, ELISA: 1:500. 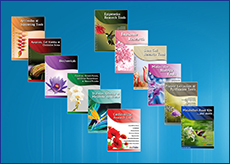 CBFb represents the beta subunit of a heterodimeric core-binding transcription factor belonging to the PEBP2/CBF transcription factor family. These transcription factors regulate a host of genes specific to hematopoiesis (e.g. RUNX1) and osteogenesis (e.g. RUNX2). The beta subunit is the regulatory subunit which allosterically enhances the activity of the DNA binding alpha subunit as the complex binds to the core site of various enhancers and promoters. CBFb can be involved in a chromosomal rearrangement of chromosome 16 (inv(16)(p13q22)) which produces a fusion protein consisting of the N terminus of CBFb and the C-terminal portion of MYH11. This chromosomal rearrangement is associated with acute myeloid leukemia of the M4Eo subtype.